With an eye each on China, India and Japan look to bolster defence co-operation. 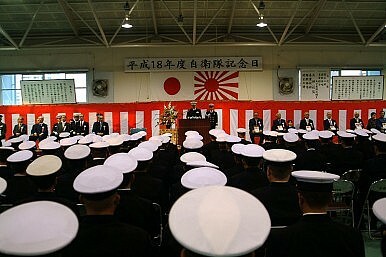 China’s growing assertiveness in the region is prompting increasingly wary Japan and India to boost defence cooperation. The most visible example of this is the first ever Indo-Japan army-to-army staff-level talks that concluded recently. The Indian Army currently holds such talks with nine countries, including Australia and Malaysia (there had in fact been a defence co-operation process between Delhi and Beijing, but this appears to have been placed on hold by an indignant India following Beijing’s recent refusal to grant a visa to an Indian general). The fact that Indo-Japan defence cooperation is being bolstered despite Tokyo’s reservations over India’s persistent refusal to sign the Nuclear Non-Proliferation Treaty (NPT) and Comprehensive Test Ban Treaty (CTBT) speaks volumes about the two sides’ determination to improve all-round bilateral ties and their desire to add a truly strategic dimension to their relations. It can only be hoped that Indian Prime Minister Manmohan Singh’s ongoing visit to Japan will be a further step toward further deepening of Indo-Japan engagement. An early example of co-operation between the two is the fact that Japan has already built the Indian Navy’s only Floating Dock Navy- 1 (FDN1). The FDN1 was designed by the Indian Institute of Technology and has a lifting capacity of 11,500 tonnes. Now, the Indian Navy is planning to acquire another floating dock, to be stationed in the strategic Andaman and Nicobar islands. But it’s not all going to be plain sailing in the defence relationship—the Indian Navy has already looked for expressions of interest for the FDN2, but this time it’s not clear Japan is in the running, and would anyway be facing stiff competition from Russia and Germany.